All current BAC students are invited to the September AIAS BAC General Student Body Meeting! The meeting will introduce students to the mission of AIAS, and all of the activities that the group is planning for the fall 2013 semester. They will also talk about their goals and plans for the spring 2014 semester. 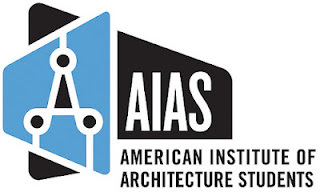 AIAS is a great networking opportunity within the school and the city but it also allows you to connect with students and designers across the United States. AIAS represents over 130 chapters and over 7,000 members across America - so why not get involved and become apart of something great! If you can't attend the meeting or have questions about becoming part of AIAS BAC, contact them via email, or find the group on Facebook.